Mezzo-soprano Kimberly Prins Moeller made her Carnegie Hall debut in 2014 as soloist in Mozart’s Requiem and Beethoven’s Choral Fantasy. A proponent of art music and contemporary music specifically, Kimberly has performed works such as John Cage’s Three Songs for Voice and Closed Piano with choreography and received focused training in contemporary performance studies and French mélodie at the Vancouver International Song Institute. Her stage credits include the roles of Prince Orlofsky in Die Fledermaus with the University of Arizona Opera Theatre, Sorceress in Dido and Aeneas with the St. Andrew’s Bach Society, Flora in La Traviata, Dinah in Trouble in Tahiti, Ma Moss in The Tender Land, and Florence Pike in Albert Herring. An active soloist in concert and oratorio repertoire, Kimberly’s recent performances include Duruflé’s Requiem with Sheboygan Masterworks, Handel’s Messiah with the American Chamber Orchestra, Beethoven’s Choral Fantasy, Vivaldi’s Gloria and Magnificat and Saint-Saëns’ Christmas Oratorio. Other appearances include the University of Arizona Chamber Music Showcase, the Saarburg International Chamber Music Festival, and choral performances with Grammy-nominated True Concord Voices & Orchestra. Kimberly is a multiple winner of NATS competitions in New York, New Jersey, Pennsylvania and Arizona and was named a semi-finalist in the professional art song division of the American Prize in Voice competition. 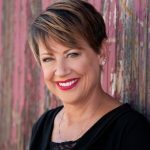 She holds the Doctor of Musical Arts in Voice Performance from the University of Arizona, with additional studies in opera coaching and directing. Kimberly received a Professional Performance Certificate in voice performance from Penn State University, a Master of Arts in voice performance from Montclair State University and a Bachelor of Music in vocal music education from Houghton College. A member of NATS, Kimberly joined the faculty of Alverno College in Milwaukee, WI, in 2015.